Welcome to Olathe, KS! As a dealer near Olathe, we wanted to show our customers in the area our pride for representing such a diverse city with so many things to see and do for residents and visitors alike. If you’re visiting Olathe, you’ll notice that there’s a museum for essentially every interest. Check out sights like the Nerman Museum of Contemporary Art, the Gardner Historical Museum, and the Kansas City Automotive Museum. There are tons of parks and outdoor activities to engage in, as well. With so much to see and do in Olathe, these residents need reliable vehicles to get around. That’s where our team at Volkswagen Lee's Summit can help. Read on to find out more! At our Volkswagen dealership, our goal is to provide our customers with the highest quality vehicles to last them for years to come. From classic sedans like the Volkswagen Jetta to larger family-friendly SUVs like the Volkswagen Atlas, we’ve got the car or SUV to accommodate every lifestyle. You can check out our entire new and pre-owned inventory online, so you can see for yourself which vehicle is right for you. 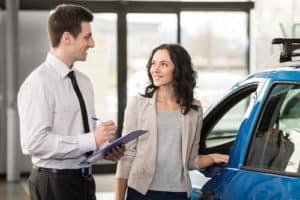 You’ll find details like fuel economy and engine options, plus interior and exterior photos, so you’ll be well-prepared for a test drive in your favorite model. 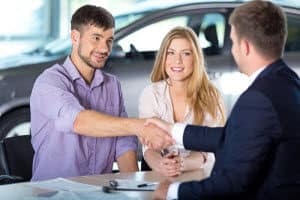 Once you choose the vehicle that’s right for you, you’ll be set up with a team of financial experts who will walk you through your loan options. We want to make sure you’re completely comfortable with the numbers we come up with before you drive away in your new ride. We do this by having established relationships with banks and lenders in the Olathe area, so that you can rest assured you’ll be in the best hands when choosing the loan that’s right for your budget. You can even get started by filling out our online finance application. That way, we can process your information right away, and you can get moving in your new ride even sooner! When you purchase a Volkswagen vehicle with us, we want to help make sure it’s always running like new. That’s why we have an auto service center right on-site, so that keeping up with maintenance is easy and convenient. Our highly trained, experienced auto technicians can take on any issue you present. From routine maintenance procedures to larger part replacements, we’ve got you covered. And scheduling service will never interrupt your day with our online service scheduler. Just choose your desired appointment date and time, and fill out some quick information, and we’ll be in touch with you to confirm. Visit Your Volkswagen Dealership near Olathe Today! If you’re in the Olathe area and are looking for your next ride, stop by and see us at Volkswagen Lee's Summit today! We’ll explain more about our car buying process, plus get you set up in the Volkswagen model that’s right for you. We look forward to meeting you!